Rich content creates a memorable interface that gets people talking, lets a special announcement or contest go viral, improves fans’ engagement and so much more. To create an important hub to reach out to millions of potential supporters, you need to up your game and optimize your fan page to meet its ultimate purpose. The main purpose of a Welcome tab is to provide an overview of your page—what you can offer to people who like your page and why it should matter to them. Quit force-feeding new visitors a sales pitch; instead convince them with solid reasons to stay as followers. You have one chance to impress them, so make sure your Welcome tab serves its purpose: greet with enthusiasm, guide visitors to ‘like’ or have a look at certain tabs. Mini websites, Flash and webcasts are just some of the advanced methods you can use to create a lively, impactful Welcome page. Create a strong call to action with eye-catching graphics and clear instructions. Have you ever wondered why certain options are not visible in the Info tab? For example, there is no place to include your business hours and location, while other pages have it. You’ve probably selected the wrong type of fan page during the setup process. Because deleting and recreating a fan page with a large number of people who like your pages is not really an option, Static FBML provides you a way to include your business contact details as often as you like. 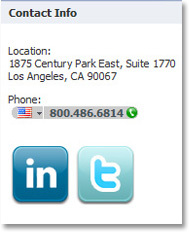 Use extra information and social buttons to enhance visibility of a contact box. 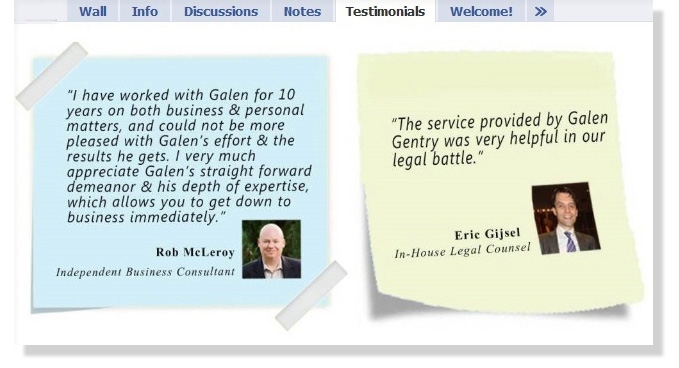 When it comes to service providers and professionals, nothing is more convincing than a testimonial page. 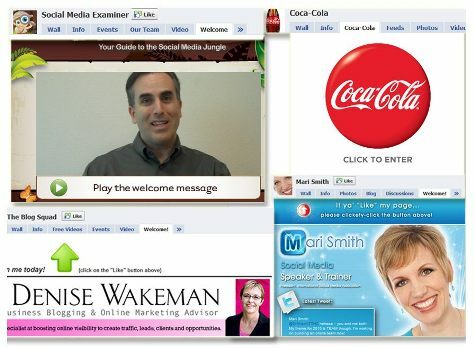 You can have a static page with testimonials or have a designer create a catchy layout to attract peoples’ attention. How you decide to showcase your testimonial page is only limited by its relevancy and your creativity. Static FBML allows you to do so much, even placing video testimonials and arranging client reviews in the order you prefer. Create an attractive Testimonial tab with FBML that draws attention. An opt-in form can be easily placed on either your Welcome tab or as a box on the sidebar of the fan page wall. Regardless where you put it, make sure it’s visible at all times for people to sign up. It’s an added opportunity to build a strong readership and a potential client base with email marketing. Some of the famous services such as Aweber and MailChimp provide HTML code for users to place an opt-in form in any selected tab using static FBML. 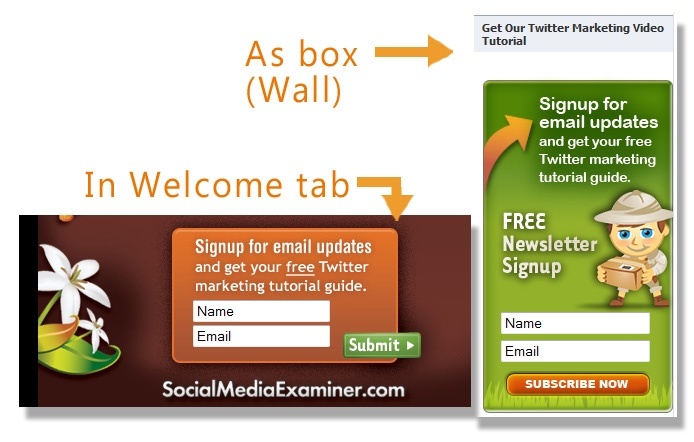 To encourage sign-up, place an opt-in form on your Welcome page, as a box on your wall or as a tab. This is a tricky one to entice visitors to like your fan page. Prepare several useful resources, backstage passes, anything you can think of that provides value. It can be a newsletter or any private content with hacks and tips, business guidelines or videos that are available solely to people who like your page. Encourage visitors to Like by providing a secret resource area only accessible to them. For fan pages with regular monthly events or contests, a tab can be used as a promotional board for fans to check out the details and deadlines. A sharing button makes it all easy for anyone to share the exciting news with their friends. Try it and see how your information can go viral before your eyes. 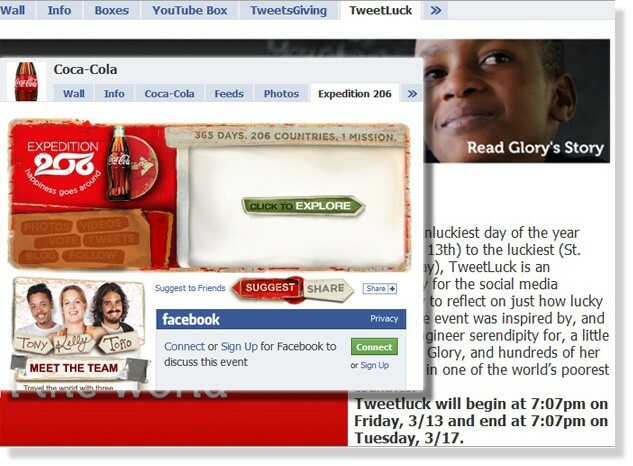 Build a special tab consisting of contest details and monthly events that can be shared easily. Ever wonder what you can do for those old, yet timeless, posts on your blog? Why not give them some extra visibility by placing an ‘oldies but goodies’ box next to your fan box? Steal some attention with a slight bit of creativity and occasionally mention them in your announcements. You can rotate the frequency of post links or even post categories so visitors have a wide range of selections, as shown on Social Media Examiner’s fan page. Most of all, it’s much better than the usual Social RSS feed that only displays the most recent entries. Include a category box of articles that allows visitors to navigate effortlessly to the main site. People are turning to social media sites for job opportunities. It’s no surprise that even Facebook’s own fan page has a We’re Hiring tab to recruit. There are 200 million active users who log on to Facebook daily. If your company has job opportunities, why not insert a job board on your fan page? You just never know who might drop in one day. Who would forget the popular Google Analytics post about the magic code we place in the FBML tabs to track page visits? Combining this fantastic method with static FBML, we can now decide which FBML tabs are staying which tabs should go. Have you been playing with static FBML to enhance your fan page? Feel free to share your experience and success stories with us.